We still have lot of jobs to improve Fearless Tigor game and must working hardly to fix level design based on feedback and research. I hope you can play “Fearless Tigor” soon on this year (still dunno about exactly date to release). 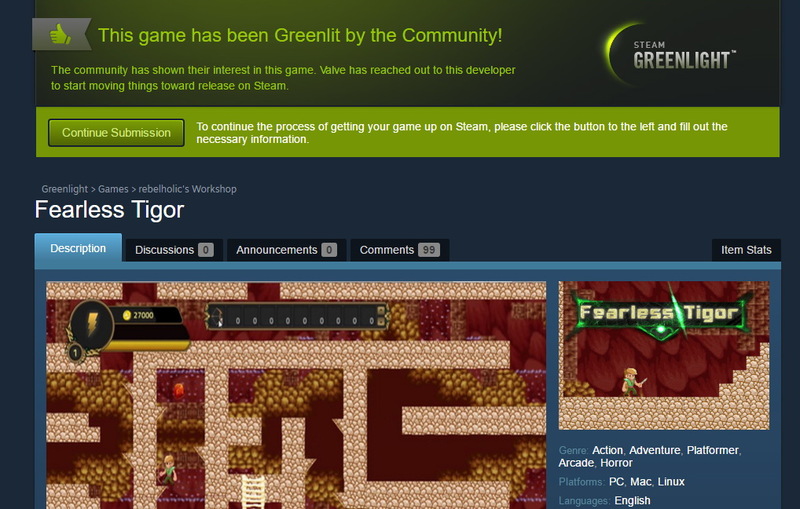 Big thanks to anyone to made it greenlit like upvoted or shared to your friends. Without you, we cannot deliver the best performance for our game. Stay tuned for next info like follow us on facebook, twitter, and youtube. 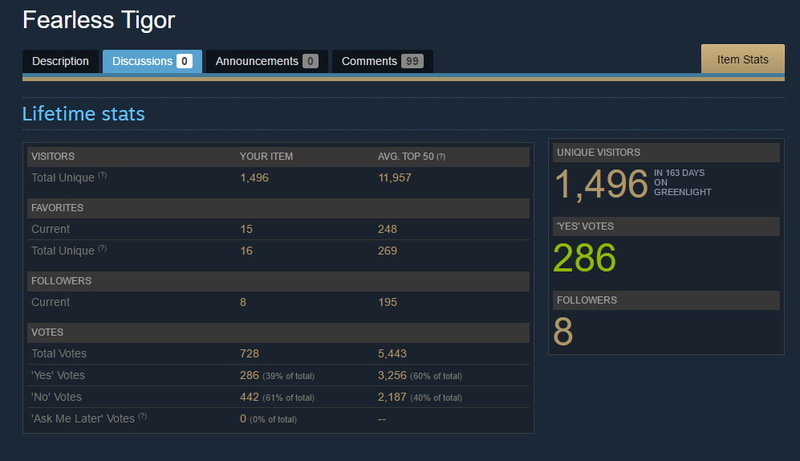 Please don’t make any steam greenlight campaign with any steam keys giveaway and include to any bundle thing because it will make lowest value for your own game.